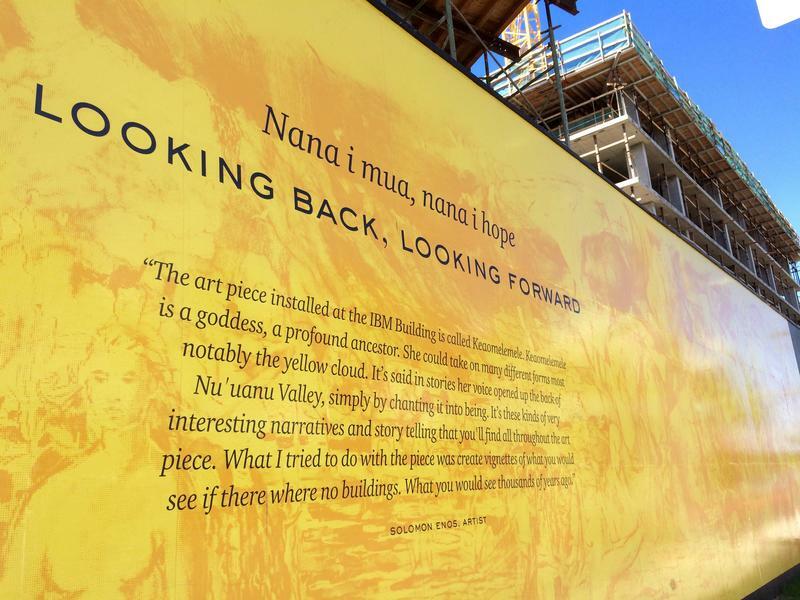 UH Mānoa researcher Andy Yamaguchi walks past dueling construction sites in Kaka‘ako. It’s a common backdrop in the neighborhood, as it develops into the latest part of the urban residential core. Andy Yamaguchi is a graduate student in the University of Hawaii at Manoa Department of Urban & Regional Planning. He's researching car sharing in the Kakaako neighborhood. The area is home to more than two dozen large residential buildings, with about 14 more in the pipeline. Yamaguchi says that makes it a prime place to have alternate forms of transportation. One transit option Yamaguchi is focusing on is the idea of car sharing. That allows people to have access to a vehicle without actually having to own it. Renters take a car when they want it, drive it anywhere within a designated area and then just park it and leave. Car sharing isn’t a new idea and has actually been operating in the islands since 2012. 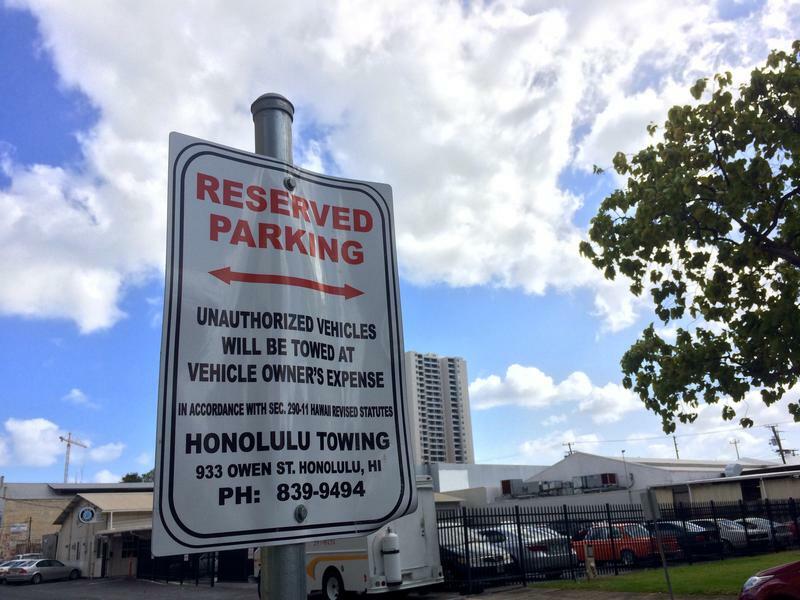 But cars are mostly located in a handful of spots near the University and Waikīkī. 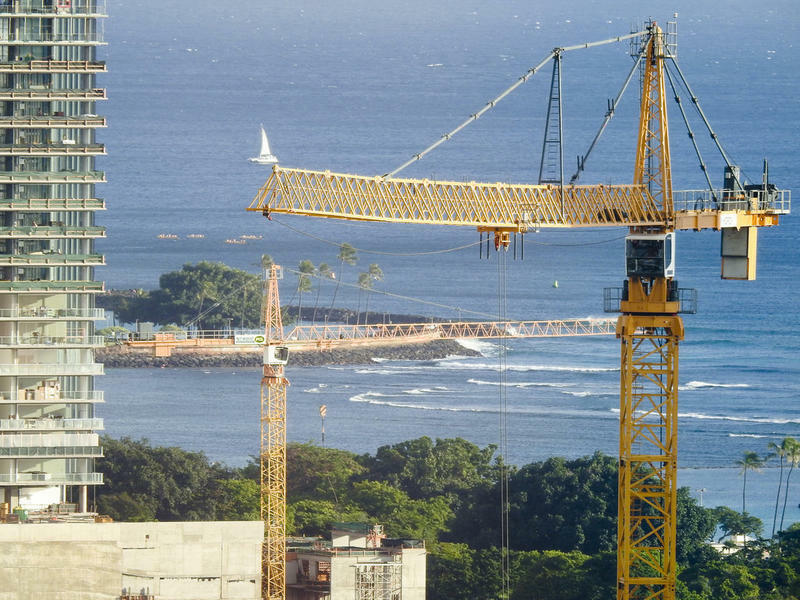 Yamaguchi is interested in testing whether that service would translate to condominiums in Kaka‘ako, starting first with a transportation survey in the neighborhood. Other cities have embraced car sharing, even changing land use codes to accommodate car-sharing services. San Francisco now mandates that larger residential buildings have at least one car share space for residents to use. Other cities have reduced the number of parking spaces in condominiums in exchange for car share spots. UC Berkeley researcher Elliot Martin specializes in transportation. In a recent study on the company Car2Go, Martin looked at five different cities. He estimates the car sharing service resulted in 28,000 fewer vehicles on the road. Back on O‘ahu, the results of Yamaguchi’s survey are in the early stages and are still rolling in. So far, two-thirds have said they’d be extremely or somewhat likely to use car sharing. If you’re a resident in Kaka‘ako, follow this link to the survey and share your opinion on car sharing.